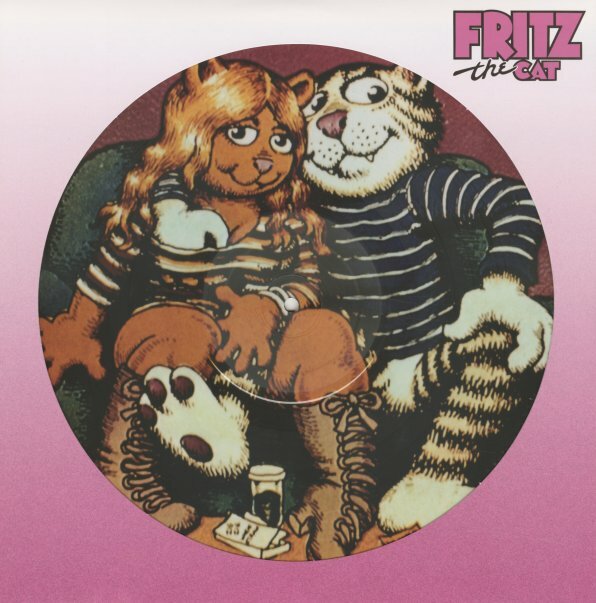 The funky freaky soundtrack to Ralph Bakshi's animated feature Fritz The Cat – a really messed-up little film based around the original character created by Robert Crumb! Like the movie, the album's got a very skittish kind of feel – leaping from one genre to the next with each different track – but mostly featuring some older numbers from the Fantasy catalog, plus some key newer tracks for the set that are nice and funky! Original tunes include the bad-rapping "Fritz The Cat", by Ed Bogas and The Watson Sisters – plus the instrumentals "Duke's Theme" and "Bertha's Theme" by Ray Shanklin, and "The Riot" and "Winston" by Ed Bogas. Also includes "Love Light Of Mine" by The Watson Sisters, "Black Talk" by Charles Earland, and "Mamblues" by Cal Tjader. © 1996-2019, Dusty Groove, Inc.